After two former county employees raised concerns, and the Sarasota County commissioners learned that only one trade group had been consulted on the matter, the board this week voted unanimously to put off a decision until next month on whether to approve changes in the County Code regarding minimum qualifications for the county’s Building Official. 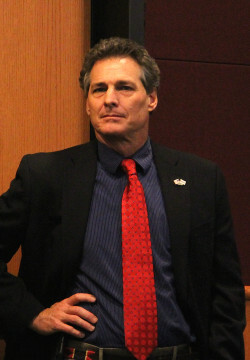 Among points expressed Nov. 9 by the two past Building Officials for the county were that staff already had included the changes in the current posting for a new county Building Official and the threat that putting an inexperienced person in the job could lead to inadequate oversight of floodplain construction and ultimately cost county property owners higher insurance fees. Commissioner Christine Robinson, who made the motion to continue the public hearing, also asked that county staff contact other trade groups, as well as engineering firms and architectural firms in the community, as soon as possible. “You would need to literally make those phone calls today to everybody to make sure they would have enough time to weigh in,” she told Tom Polk, the county’s director of Planning and Development Services. She alluded to the fact that the groups may have upcoming board meetings scheduled earlier than usual because of the approaching holiday season. Her directive came after County Administrator Tom Harmer said the public hearing could be continued until the afternoon session of the commission’s Dec. 9 meeting. 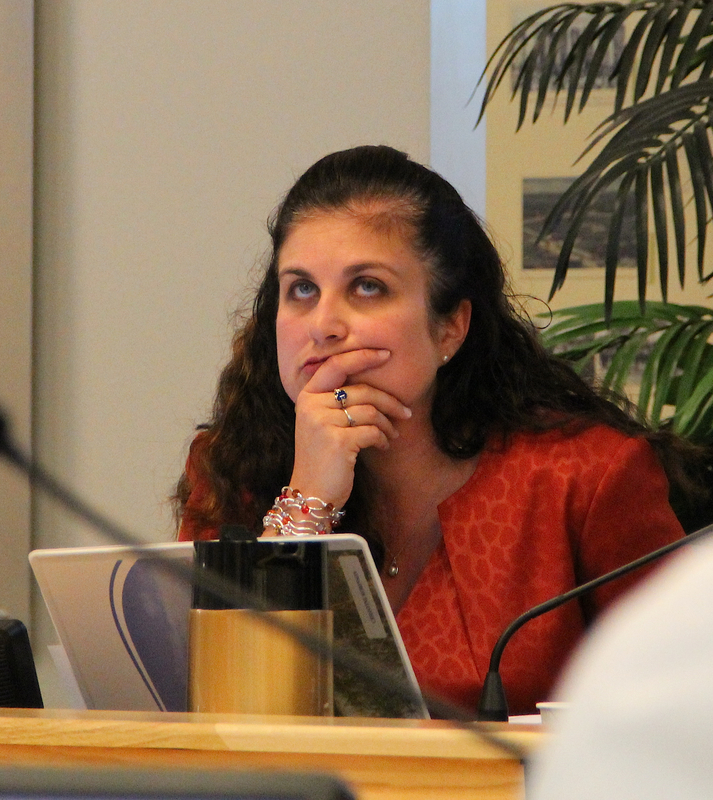 When Vice Chair Al Maio — who was presiding in the absence of Chair Carolyn Mason —voiced concern about whether the delay would affect plans to hire a new county Building Official, Harmer replied that he would follow up on that with staff. However, after checking the county website, Harmer said the closing of the application period for the job would not come until later this month. A Sarasota News Leader review of the posting found it is to close at 5 p.m. on Nov. 20. “It may be best to extend that,” Harmer told the board. On Oct. 2, county spokesman Jason Bartolone told the News Leader that the position would be advertised through the county and on industry-related websites. The posting went up on the county Procurement website on Oct. 7, according to information provided on that site. However, the county’s requirements are more stringent than those of the state, the memo continues, because the county makes it necessary for the five years of supervisory experience to be in a building department. The Florida State Statutes allow an applicant for a Building Official position to substitute some postsecondary education for actual work experience, the memo notes. Therefore, staff recommended changing the minimum qualifications in the County Code so they would be consistent with the Florida Statutes, the memo adds. Polk told the board on Nov. 9 that he and his staff did not want the five years of supervisory experience in a building department “to be a limiting factor” for people applying for the Building Official position. The first of two speakers during the hearing was Greg Yantorno, who served for about five years as the county’s Building Official before Polk fired him on Sept. 21. Polk’s action came the same day Harmer and the County Commission received a report on an audit by the Office of the Sarasota County Clerk of Court showing that a number of re-inspection and partial inspection fees, totaling about $7.4 million, were not collected during the 2014 fiscal year. On Nov. 9, Yantorno told the board he was representing the Building Official Association of Florida, of which he is president. He has 42 years of experience as a licensed building contractor, he added. One of the more critical considerations for the commission, he pointed out, is the fact that the Building Official is the administrator of the county’s flood zone ordinance. Without prior experience in a building department, he pointed out, “this person will not have a clue” about what that ordinance entails, including how to interpret it or how to enforce it. The Insurance Services Office (ISO) will conduct its next audit of the county Building Department next year, and if the Building Official has insufficient experience with floodplain management, Yantorno said, the county will risk losing points. 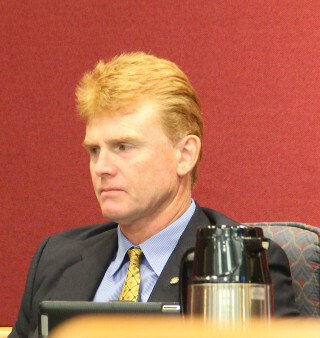 He asked the commissioners whether they wanted to “take a chance [that the county would drop] to a lower ranking, which would mean higher insurance rates” for all Sarasota County residents. Further, Yantorno noted, surrounding jurisdictions require more experience of their top building officials than the amended county code would. Finally, Yantorno noted that over the past 13 years, Sarasota County has had four different Building Officials. The highest salary paid any of them was $120,000, he said. However, the current posting for the position calls for a salary mid-point ranging from $55,556.80 to $73,694.40. “Sarasota County will not attract an experienced Building Official for the salary offered,” he added. He also pointed out to the board that when he saw the job position posted on Oct. 7, the minimum qualifications already mirrored those staff was proposing as an amendment to the County Code. It seemed obvious to him, Radauskas said, that the commissioners were meant to have changed the code weeks earlier. In the 16 years he worked for Sarasota County, Radauskas added, he never saw that type of thing happen. The News Leader confirmed during a Nov. 10 review of the job posting that it contained the language proposed as changes to the County Code, consistent with the Florida Statutes. After Yantorno and Radauskas concluded their comments, Commissioner Charles Hines asked Polk of Planning and Development Services whether the county would be hiring someone with no experience if the board approved the amendment to the County Code. “Our intent here is to hire the most qualified person for the job,” Polk responded. However, he said, staff did not want to limit the potential applicants for the post. 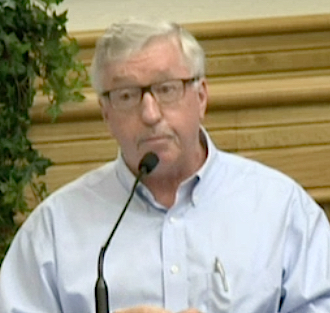 When Commissioner Robinson then asked whether Polk had contacted the area trade groups to ascertain their views of the proposed change, he told her he had spoken with representatives of the Manatee-Sarasota Building Industry Association. She responded that she had heard from that group, which had offered its support of the amendment. When she asked whether Polk had talked with anyone representing the Gulf Coast Builders Xchange, he said he had not spoken with that organization’s executive director, Mary Dougherty-Slapp. Robinson then told her colleagues she preferred to have the views of the county’s Chambers of Commerce and the Gulf Coast Builders Xchange before acting on the amendment. The proposal “needs to be shopped north and south,” she added, referring to the geographical areas of the county. Commissioner Paul Caragiulo suggested the inclusion of engineering and architectural firms in the outreach effort. 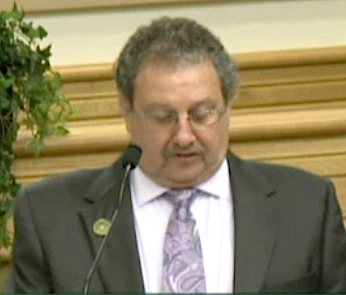 Robinson then made a motion to continue the public hearing until the afternoon of Dec. 9, and Caragiulo seconded it. The motion passed 4-0. After Yantorno was fired on Sept. 21, Planning and Development Services Director Polk named Deputy Building Official Kathleen Croteau the interim Building Official. In response to a request for information, county spokesman Jason Bartolone told the News Leader that Croteau was hired in 2011 as Deputy Building Official. She is treasurer of the Gulf Coast Chapter of the Building Officials Association of Florida and is licensed as a state building code administrator, building plans examiner, building inspector and fire safety inspector/plans examiner, Bartolone added. Her previous work experience includes seven years with the City of Cape Coral as a building/fire plans examiner, site and development coordinator and deputy Building Official, Bartolone noted. From 1989-2004, he continued, she served as president of a structural steel and ornamental metals business. The News Leader was unsuccessful in reaching Croteau to ask whether she has applied to be Building Official.